Jaguar aimed for a range rating of 240 miles with the launch of its all-electric 2019 I-Pace. The results are in, and it appears that Jaguar has fallen just a bit shy of that goal. 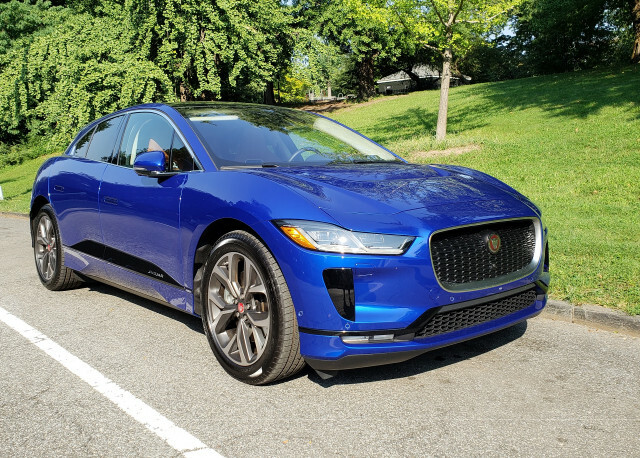 The official range for a Jaguar I-Pace as rated by the EPA is 234 miles. While the automaker has fitted the I-Pace with a 90-kilowatt-hour battery pack, compared to a base Tesla Model X and its 75-kwh pack the I-Pace lands a few miles behind. Tesla shows an official range of 238 miles for its “entry-level” Model X. Those who spend more money, however, might find themselves in a Model X 100D and that version boasts a 295-mile range. The I-Pace should prove to be a great competitor to the Tesla, but EV shoppers are right to be curious about the lower range. Especially as ever more electric options come online. The latest, for example, is the Hyundai Kona Electric. Though it’s not a direct competitor from a segment and price standpoint, it should be noted that Hyundai has managed an impressive 258 miles of range from a smaller battery pack. Still, Tesla and Jaguar shoppers likely won’t have the Hyundai on their radar, even when they should note the improving battery tech at all levels of the market. With the I-Pace, Jaguar is leading the charge from more traditional automakers against the EV stranglehold held by Tesla. And that’s a very good thing, as the competition will breed better vehicles, faster tech improvements, and more choices for the consumer. Jaguar slightly missed the mileage mark on its I-Pace, but the figure is still in line with some of the new competition. Alternatives include the Audi e-tron and Mercedes-Benz EQC, due in 2019 and 2020, respectively. We’re still puzzled as to why Jaguar fell a bit short though, as the I-Pace is lighter than the Model X and that should’ve been reflected in the official driving range. Our sister site, Green Car Reports, tested the I-Pace and found inconsistent range while driving it. Perhaps some software updates are in order? We’ll keep an eye on the I-Pace and keep you posted if there are more developments to this story.